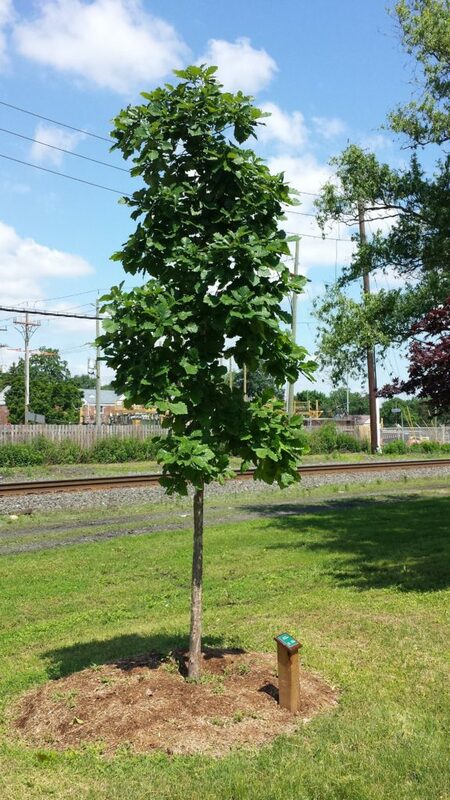 Planted in 2013 at the Dumont Arbor Day festivities. A Large Tree, it will grow well over 50′ at maturity. 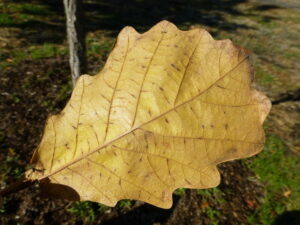 White Oak, Quercus alba, is a stately tree with some specimens recorded at over 450 years old. Oak Trees are the National American Tree. 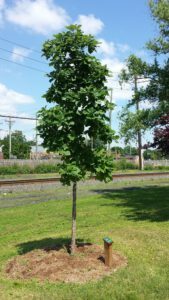 This popular tree is a native hardwood tree from Canada all the way down to Florida. 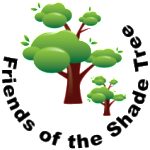 The umbrella of dense shade and strong wood will cool you and your neighbor on hot summer days. 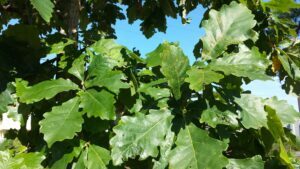 If you have space in your lawn, oak trees are a great choice. In Autumn, tourist season in New England wouldn’t be complete with out the rusty brown of our native oaks! Look for our young White Oak north of the Gazebo… next to our Red Oak. Can you see the different leaves and branch structure?